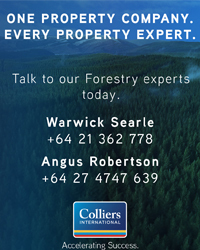 On Wednesday, a new major plan for Australia’s forest industries, the first in more than 20 years, was announced by Assistant Minister for Agriculture and Water Resources Richard Colbeck in front of a packed National Press Club audience in Canberra. The National Forest Industries Plan – Growing a better Australia, aims like their Kiwi counterparts, to plant an additional one billion trees (plantation timbers) over ten years. It’s been heralded as a watershed moment for Australia’s forest and wood products industries and has been designed primarily to increase investment across the sector. To demonstrate the Government’s commitment to progressing the plan, AU$20 million had been set aside in the 2018-19 Federal Budget earlier in the year. Further details and a link to this major announcement are contained in the story below. This week the Australian leg of the very popular wood manufacturing technology series also ran in Melbourne. New technologies (from wood scanning and optimisation in the dry-mill through to finger-jointing, gluing, laminating and timber finishing), new operating practices and processes along with tips to improve current manufacturing operations were outlined by tech providers drawn from throughout this region, Europe and North America. The New Zealand leg of the two-part series is being run in Rotorua next week. Tech updates and follow-up details on some of the innovations on display will follow for delegates shortly via the website, www.woodtech.events and for others, via the monthly newsletter, www.woodtech.news. Over this last week, aside from some pretty exciting new equipment being displayed in Melbourne, discussions invariably often came back to the issue that many mills are facing right now, both locally and internationally. That’s how to attract, recruit and retain workers. Results from a manufacturing survey out this week tell us that 75% of businesses in Australia right now are grappling with skills shortages. It’s also an issue that forest owners, harvesting contractors, wood transport operators… are facing. In fact, we know it’s not limited to our industry or this country. It’s a major issue constraining economic growth world-wide. We’ve included this week an article written by the Director of Leadership and Learning for Canfor, a large Canadian forest products company, one of the world’s largest producers of lumber, pulp and paper. Innovation, digital skills development and the ability to transfer knowledge and capabilities to new and prospective employees are all part of what’s needed. The challenges being posed with baby boomers retiring is presenting the industry with opportunities to develop and update new ways of thinking to create a workplace that future employees will choose. Check out the story below as it should provide some pointers to your own company or business. 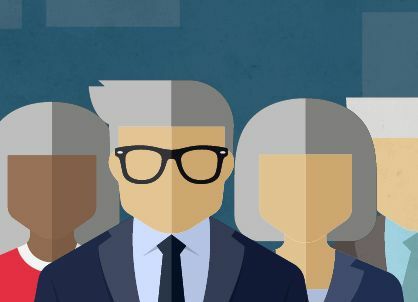 Another recent report is also suggesting that age diversity within the workforce (that’s research speak for keeping on some of those baby boomers) is actually beneficial to the workforce as well as the business. That’s it for this week. Enjoy this week’s read. Australia’s renewable timber and wood-fibre industry will be better prepared for future challenges and opportunities with the support of the Australian Government’s National Forest Industries Plan – Growing a better Australia. Minister for Agriculture and Water Resources David Littleproud and Assistant Minister for Agriculture and Water Resources Senator Richard Colbeck on Wednesday announced the release of the new AU$20 million-dollar plan. “The goal of this plan is clear: a billion new plantation trees,” Minister Littleproud said. “A key theme which came up during consultation was Australia will need to plant a billion new trees over the next decade to meet demand in 2050, particularly sawlogs for building and construction. Minister Colbeck said the delivery of the plan will underpin growth in the renewable timber and wood-fibre industry, provide the vision and certainty for Australia’s sustainable forestry industries, and support the sustainable forestry industries as long-term growth engines for regional Australia. “The goal and the actions contained in the plan will provide industry with the certainty it needs to invest in its own future and be prepared for the many challenges as well as opportunities ahead,” Minister Colbeck said. “But only through investing in the future can the forestry industry continue to build on its achievements to secure the economic and social wellbeing of Australia. That is why in this year’s Federal Budget, the government announced AU$20 million over four years to 2021–22 to support the implementation of the plan. We will also continue to negotiate and implement improved 20-year rolling Regional Forest Agreements with relevant state governments. The National Forestry Industry Plan – Growing a better Australia is available at http://www.agriculture.gov.au/forestry. Virtual, augmented and mixed reality are no longer just for gamers and tech demos. Facebook CEO, Mark Zuckerberg, has called augmented and virtual reality the next major computing platform and is predicting that these technologies have the potential to replace smartphones and personal computers within 10 years. Even now, they’re becoming an important tool for big business. Most sectors see real benefits in utilising virtual, augmented and mixed reality technologies. You can now use it to better visualise big data, operate machines remotely, walk through a virtual forest or maintain equipment with real-time, floating instructions. Adoption is being driven by reduced headset pricing, an almost continual new technology rollout, the arrival of major smartphone providers into the sector and the prototyping and subsequent deployment of enterprise solutions into workplaces. The forestry industry is one such sector that sees huge benefits. At last year’s ForestTECH series, resource managers, remote sensing and GIS specialists and inventory foresters were all strapping on VR headsets. Ground breaking work is being led by the Human Interface Technology Lab out of Tasmania, as part of an FWPA project, demonstrating how VR technologies potentially could be employed using remotely acquired 3D point cloud data collected from ground-based and aerial LiDAR. The research has been aimed at testing whether foresters can visually characterize and measure individual trees away from the forest. Twelve months on and, like the technology, advances in this space have been rapid. LiDAR data from a variety of in-forest trials have since been tested to see whether the features required in timber cruising can be picked up and quantified using VR. Winyu Chinthammit from the HiT Lab, along with Bruce Hill from Interpine Group, will be presenting and demonstrating as part of the ForestTECH 2018 series. They’ll also be taking a pre-conference workshop in both countries running through the workflow of the VR application for tree assessment. Mixed reality is another technology being discussed as a game breaker. It’s already showing promise in a raft of industries. Mixed reality is a form of augmented reality, somewhere between VR and AR. In short, it brings people, places, and objects from the physical and digital worlds together. 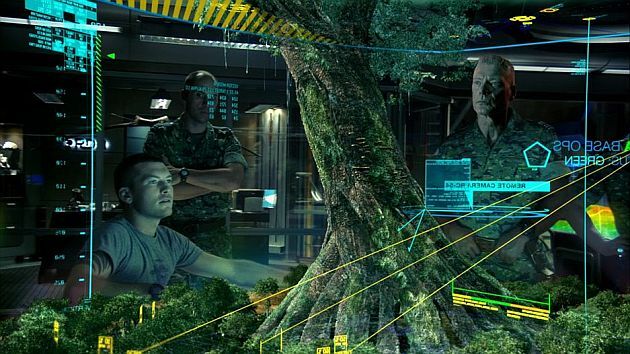 You can visualize the sort of technology being employed here by thinking back to the 2009 epic science fiction movie, Avatar (photo). Rather than checking out the locations of the humanoid species that were indigenous to Pandora, it’s also recently been trialed locally with a forestry company. Harvest planning today still relies on working with a topographic map, discussing specific hazards and land characteristics, making decisions about skid site placement, environment impacts, health and safety, harvest crew placement, and more. Although this is a common practice, some features can be lost in translation across the harvest planning chain of communication. Rayonier in New Zealand realised that there was a good case for using mixed reality technology, such as Microsoft’s HoloLens, to enhance their harvest planning and communication. Scion was approached to investigate the HoloLens technology further and provide a proof of concept for its use. The proof of concept using the Tactile developed application called HoloMaps has been delivered. As one of top six Microsoft endorsed app developers for the HoloLens, the HoloMaps application was modified to bring in Rayonier GIS data such as a digital terrain model (DTM) and associated attribute data belonging to compartments and skid sites. 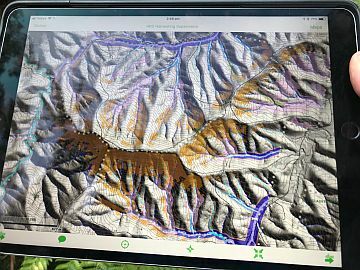 As part of the upcoming ForestTECH 2018 series, in addition to recent forestry trials with Hololens, App developers Taqtile Inc from Seattle and Microsoft will for the first time in this region be outlining through presentations and hands on workshops, technology developments and the very real opportunities that exist with this type of technology for local forestry companies. The co-founder of CTRL Reality from Finland, will also be outlining the Virtual Forest that’s recently been developed by Finland's Metsa Group, Tieto and CTRL Reality. The virtual forest is a true VR experience. It runs on all VR headsets, mobile devices and in web browsers. In this new service, tested already by 2,000 forest owners, users can move from one site to another, see what harvesting and forest management activities should be carried out each time, and run estimates on the income and costs of each activity. The virtual forest also shows what the forest would look like after different activities, and it offers 360-degree images of the forest. This year’s ForestTECH 2018 series is designed to get local forestry companies to really think outside the square. It runs in Rotorua, New Zealand on 14-15 November and then again in Melbourne, Australia on 20-21 November. A series of pre-conference workshops that proved so successful at previous events have also been set up for conference delegates the day before each conference runs. Full details can be found on both programmes on the event website, www.foresttech.events. Forestry and wood processing company, Juken New Zealand Ltd (JNL) has this week announced a proposal to modernise its Kaitaia Triboard mill. The company is proposing to make a significant investment over the next few years to upgrade and modernise the mill. JNL met with employees at the mill on Tuesday to start consulting with them on the proposal and the potential changes. New Zealand General Manager of JNL, Dave Hilliard, says that although the proposal involves some hard decisions, it will give certainty to the Northland community about the long-term future of the mill. “We are being upfront though that the steps required to be taken to address the mill’s issues are unfortunately likely to result in some job losses.” Hilliard says that there are three major issues relating to plant, people, and production that currently make it hard for the mill to operate in a sustainable way. “The plan we have begun consulting our people at the Triboard mill on today will modernise the mill and address the key issues in these three areas. The changes aimed at streamlining production are likely to impact staffing levels”. One of the major issues facing the mill is a shortage of logs from Northland forests and an uncertain supply picture in the future. Security of log supply in Northland is not an issue JNL can fix on its own says Hilliard. What’s the secret to attraction, recruitment and retention of the future workplace? Unfortunately, there is no secret solution, at least not one that we’ve found at Canfor. But what we do know is that we need to be more innovative as we work to recruit and retain future employees. We all know that Canada’s population is aging. 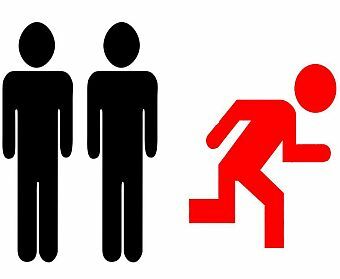 According to Statistics Canada (2018), there are two people poised to retire from the workforce for every one person joining. We’ve felt the impact of retirement at Canfor as valuable knowledge and experience retires with these employees. At the same time, we’re experiencing the increase of younger generations in our company and feel the pull of global competition for skilled talent and angst of difficult-to-fill positions. At Canfor we’re challenging ourselves to find new ways to rebrand and attract talent, transform our people practices, onboard quickly, train continuously and work to individually engage the new workforce. Our success and success throughout the industry requires innovation, digital skills development and the ability to transfer knowledge and capabilities as baby boomers retire. These challenges present us with opportunities to develop and update new ways of thinking to create a workplace that future employees will choose. 1. Brand and promote industry sustainability to overpower inaccurate views of a “sunset industry” and negative perceptions. We need to work together to shift and grow attraction to cast a wider net to untapped labour markets both domestic and international. Younger employees increasingly state that they value corporate social responsibility, community support and sustainability. Focusing more around green products produced, involvement in our communities and using descriptors such as “green, modern, climate friendly and sustainable” will help support branding efforts and attract talent. We need tell stories about tall wood builds, how forests help fight climate change and how technology is modernizing the forest sector. 2. Advocate for inclusion and diversity by educating employees, at all levels, on the competitive advantages, benefits and strength of a diversified workforce, including strategies on inclusion. Research has made it clear that diverse companies perform better financially. Working to increase diversity isn’t just the right thing to do, it makes good business sense. Historically, our industry has attracted a fairly homogeneous labour pool and it’s imperative that we find new ways to attract and retain underrepresented populations or we will not be successful. There simply is not enough skilled talent to go around. 3. Become learning machines by promoting continuous learning and opportunities for on-demand, informal learning, mentoring and easily accessible mobile learning. Rethinking outdated HR policy bans on mobile phones will be required for video and on-demand access to learning content. Many millennials will be entering the workforce for the first time and need significant investment in training. We’re working on developing effective learning and onboarding programs to expedite employee learning curves and create connection to the workplace. 4. Foster mobility and flexibility in our workforce. Without offering real or virtual freedom of movement for employees, our options will be severely limited. This includes use of social media, mobile technology and working from home. In short, we need to create organizational support for a mobile workforce. The new workforce expects us to examine and provide opportunities for adjusted shift schedules, part-time and contract opportunities, job sharing and, where possible, flexibility to work remotely. 5. Build digital skills and leverage technology such as drones, LiDAR remote sensing, AI, robotics and others. We’ve already leveraged many technologies at Canfor and will only continue to see digital impacts of how work is organized, distributed and completed across the industry. And, we’ll need to attract and support our workforce in adapting to this new reality. As Canfor looks to the workplace of the future, we know everything will continue to change. Preparing today, for tomorrow, and welcoming transformation will be critical to a sustainable future. Kara Biles is the Director of Leadership and Learning at Canfor and a part-time human resources instructor in the School of Business at the University of Northern British Columbia. A combined AU$110 million will be poured into two South-East sawmills, securing the future of 500 factory jobs and highlighting the region’s reputation as a world leader in forestry. The investments by Timberlink and OneFortyOne Plantations shows confidence in the industry – the region’s largest employer, providing 7000 jobs and AU$1.2 billion for the local economy. 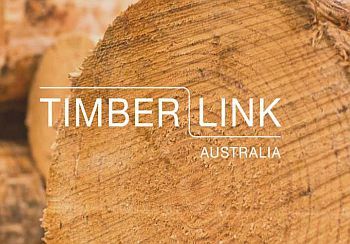 Timberlink will spend AU$90 million on its Tarpeena mill over the next three years to increase its processing capacity by nearly 20 per cent, to support the nation’s construction industry. OneFortyOne Plantations will invest AU$19.4 million into Mt Gambier’s Jubilee Highway mill to achieve greater efficiencies by extracting more log fibre. 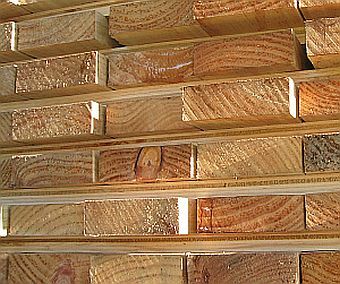 Timberlink chief executive Ian Tyson said their investment would ensure the business stayed internationally competitive and secured it as one of Australasia’s leading softwood sawmillers. “We’ve also added AU$40 million into the site over the last five years (since being acquired), so we’ve got a long-term commitment to the industry, the site and our people.” The investment includes improvements to on-site safety and the installation of a new saw line, stacker and edger, an additional contraflow and batch kilns for drying timber. Meanwhile, OneFortyOne has reaffirmed its commitment to investing in the Mt Gambier mill, after it was acquired from Carter Holt Harvey last year and began trading as OneFortyOne Products in January. Over the next year, the company will commission an additional 61 sorter bins, to be installed by 50 local contractors, and invest in a boiler emissions project and other machinery. Sawmill general manager Paul Hartung expected efficiencies and improvements in OneForty-One’s whole supply chain and stressed none of the mill’s 300 jobs would go. “When you extract more fibre out of the logs, that’s more volume of timber that needs to be processed, so we’re not laying off people,” Mr Hartung said. -	Require a simple, customisable way to collect, share and manage field-based spatial information. For those interested please contact mapapp@fcnsw.com.au. 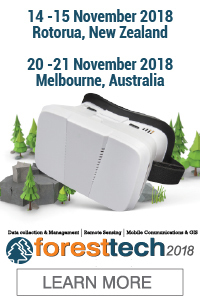 Mike will also be presenting on the iOS-based MapApp mapping application at ForestTECH 2018 in Melbourne on 20-21 November. Full details of the ForestTECH 2018 programme can be found on the event website, www.foresttech.events. 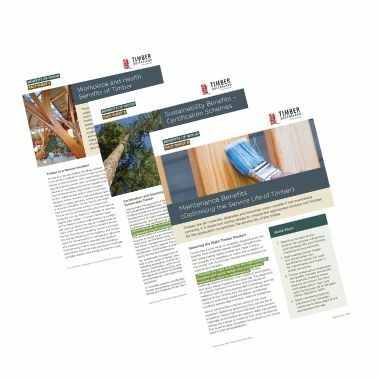 Building professionals and procurement managers attending an engineered timber seminar in Brisbane last Wednesday received a toolbox of factsheets to help explain to clients and stakeholders the benefits of using timber over other construction materials. Timber Queensland Chief Executive Mick Stephens said the eleven fact sheets address environmental, sustainability, construction and maintenance topics as well as the workplace and health benefits of timber. “Responding to a knowledge gap between building professionals and those who are commissioning and signing off on projects, Queensland’s timber industry developed this ‘timber toolbox’ of quick facts and more detailed references for further reading,” said Mr Stephens. “The sheets are available for download from Timber Queensland’s website and will be useful to include in tenders, presentation material and sales and support documentation.” Mr Stephens said assistance from the Department of Agriculture and Fisheries was fundamental in producing the fact sheets and he hopes this will translate to more business for Queensland timber suppliers. The fact sheets are available for download from Timber Queensland’s website. The Provincial Growth Fund (PGF) will invest NZ$500,000 in the Far East Saw Mill in Tairawhiti to increase wood processing capacity and get local people into jobs, Regional Economic Development Minister Shane Jones announced on Friday. The total cost to recommission the Mill is just over NZ$3.6 million, with the rest of the funding coming from the Eastland Community Trust and the Far East Saw Mill Limited. “Currently only four per cent of raw logs are milled in Tairawhiti, but there’s potential for that to increase by up to 25 per cent, which will add an estimated NZ$120 million annually to the region,” Shane Jones said. “Forestry is a significant economic driver in Tairawhiti and we want to make sure the region is able to take full advantage of the opportunities the sector provides. Today’s announcement will help ensure that any future increases can be managed locally. “Funding from the PGF will also help speed up the Mill’s production capacity, which is currently only operating at 10 per cent, while also returning 50 jobs to the local economy. This will lead to higher value forestry products being produced and more money going back into the community via pay packets for local workers,” Shane Jones said. The Far East Saw Mill is a key component of the Wood Processing Centre of Excellence which aims to be a hub for wood processing, wood products, marketing and distribution, and training and research. The Centre received PGF funding earlier this year for the development of a business case. Australian sustainable forestry company, OneFortyOne Plantation’s (OFO) purchase of Nelson Forests completed last week, following approval by the Overseas Investment Office. "OFO’s acquisition is an excellent endorsement of New Zealand’s sustainable forestry industry, and supports the continued growth of both forests and domestic processing in the Nelson region," says Mark Forman. "The Overseas Investment Office’s decision is excellent as it provides certainty for the Nelson Forests team and its customers, as well as the region. It also sends a clear positive signal to the country’s broader forestry industry, which will lead to greater confidence for high quality forest managers looking to invest in New Zealand. "We are delighted to have advised OFO on this significant deal for its business and the wider forestry industry." The purchase agreement between OFO and the GFP entity was reached in December 2017. The Whanganui District Council has banked close to NZ$13 million with the sale of four forestry blocks finally getting approval from the Overseas Investment Office (OIO). The forests, Te Ara To Waka, Tauwhare, McNabs and Siceleys, have been purchased by Summit Forests New Zealand Ltd which is a subsidiary of Japanese multi-national Sumitomo Corporation. The NZ$13 million sale includes the land and tree crops. The Whanganui council owned 95 per cent of the portfolio with Ruapehu and South Taranaki district councils sharing the rest. The blocks were bought by the councils as an investment in 1978 and planting began a year later. "The venture has met its objectives by pioneering big forestry in our region and proved that growing pine was viable in our district," Fell said. As part of consultation for the council's Long-Term Plan in 2015 the community indicated general support for selling council-owned forests. The Provincial Growth Fund (PGF) will provide just over NZ$300,000 to pilot a forestry training course as a solution to the growing forestry skills shortage, New Zealand’s Regional Economic Development and Forestry Minister Shane Jones announced on Friday. “Forestry is a key sector in Tairāwhiti, but there simply aren’t enough skilled workers in the region to do the work,” Shane Jones said. “The ManaiaSAFE Forestry School pilot course funded through today’s announcement will reduce the current skills shortage by preparing individuals with the right skills needed to be successful and make forestry their career of choice. A tiny wheatbelt town has received the keys to the biggest civic timber construction in Western Australia in nearly 80 years, as the state's timber industry shows signs of revival. The Shire of Pingelly decided to build its new Recreation and Cultural Centre entirely out of timber — and the result is without a modern-day rival. 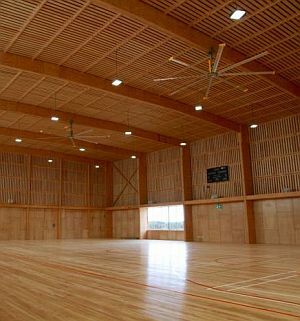 Not since the Merredin aircraft hangars of World War II has any public organisation built with timber on such a large scale. Shire of Pingelly President Bill Mulroney said cost estimates for the timber design of the new building came in around the same as brickwork. "We decided we would have something really good, and we went for timber … the timber will make it a longer life and make it better looking than bricks and mortar, which can age over years," he said. The shire built its new recreation and cultural centre in just over a year, at a total cost of $9.1 million. One thousand tonnes of yellow stringy bark, sourced from a plantation near Manjimup, created the walls, floor and decking, with the structural timber imported from New Zealand and constructed by Sime Building and Construction. "When you see so much timber in this building, it provides a very calming sort of feel, a very warm and homely atmosphere," Sime director Stephen Sime said. The new facility will be used primarily to host a range of local sporting and social activities. Before the Pingelly facility was built, a shire delegation travelled to Melbourne to inspect first hand some of the high-profile timber constructions on the east coast. The shire says its new social hub will be used by the WA Forest Communities Network, a timber industry group, as an example to encourage other local governments in WA to build with wood. But it is not just the public sector showing interest in timber in WA. The construction of a $25 million timber-framed hotel is expected to begin in Northbridge next-year. Developer ADC said the 10-storey, 126-room hotel would be the tallest timber hotel in Australia, and is proposed to use locally-sourced timber. With the NZ Government predicting that a quarter of New Zealand’s workforce will be aged 55 or older by 2020 it seems Kiwis are more than willing to embrace age diversity at work and New Zealand businesses are reaping the rewards. In fact, according to Randstad New Zealand’s latest Workmonitor findings, 88 per cent of Kiwis preferring working as part of a multi-generational team (i.e. 10-15 years difference in age). Not only that, 83 per cent of us believe that companies with age-diverse workforces are better placed to come up with innovative ideas and solutions. So, does age no longer matter in the workplace? Nan Dow, Executive Practice Director of RiseSmart Australia and New Zealand – a Randstad company, said that given we are working in a more complex workplace environment, with many businesses managing up to five generations of workers, there’s much to be gained by striving for a workplace culture that brings out the best across generations. While most industries are on board with age diversity at work, the report revealed that some sectors are well ahead of the ‘curve’ when it came to embracing a multi-generational workplace. Right now, the industry sectors leading the age-diversity charge are ‘general business’ (95 per cent) followed by education (95 per cent) and construction (92 per cent). If you want access to the full Randstad Workmonitor research report, please click here. The new owner of Nelson Forests OneFortyOne (OFO) has marked the settlement of its purchase with the announcement of two significant new initiatives – the establishment of a substantial fund for sedimentation research and a school leaver programme that will provide trade apprenticeships at Nelson Forests’ Kaituna Sawmill near Blenheim. Nelson Forests has committed NZ$500,000 to its new sedimentation research fund and has already engaged with researchers at Cawthron Institute and Landcare Research, although it expects to develop collaborations with researchers at other organisations over time. Lees Seymour, Managing Director of Nelson Management Ltd, the management company for Nelson Forests, says that sedimentation research will take place in Marlborough and Nelson Tasman and will build on work that the company has already done on the issue of sedimentation. Nelson Forests’ new school leaver apprenticeship programme for students from Marlborough Girls College and Marlborough Boys College was also warmly welcomed. The programme is being set up to assist school leavers to make the transition to an apprenticeship programme. Starting from next year, Nelson Forests expects to offer up to four trade apprenticeships at one time at its Kaituna Sawmill in a diverse range of vocations including fitter turner, electrician, saw doctor, timber processor, boiler operator, and timber machinist. The new Nelson Forests initiatives were announced at two special functions in Nelson and Blenheim held to celebrate the settlement of OFO’s purchase. OFO’s Chair, John Gilleland and CEO Linda Sewell were among those present. I urgently needed a few days off from a company I work for in New York, but I knew the Boss would not allow me to take leave. I thought that maybe if I acted "CRAZY" then he would tell me to take a few days off. My co-worker, who is also a Kiwi, asked me what I was doing? I told him that I was pretending to be a light bulb so that the Boss would think I was "CRAZY" and give me a few days off. A few minutes later the Boss came into the office and asked "What are you doing ?" He said, "You are clearly stressed out, go home and recuperate for a couple of days". I jumped down and walked out of the office. When my co-worker followed me the Boss asked him "...And just where do you think you're going?" He said, "I'm going home too bro,... I can't work in the dark! And that's it for this week. 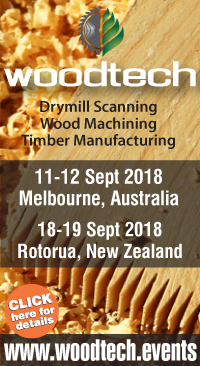 We're looking forward to meeting up with a large number of wood manufacturers and drymill operators from throughout New Zealand in Rotorua next week for the second leg of the WoodTECH 2018 series. See you there.